Connecting optical fibres is done differently to connecting copper connections. When joining copper wires together you usually simply crush the ends together, a process called crimping. This – or a variant – is how most BT lines are wired together, for instance. Optical fibres must be completely perfect throughout their length, and so to join them a process called fusion splicing is used. 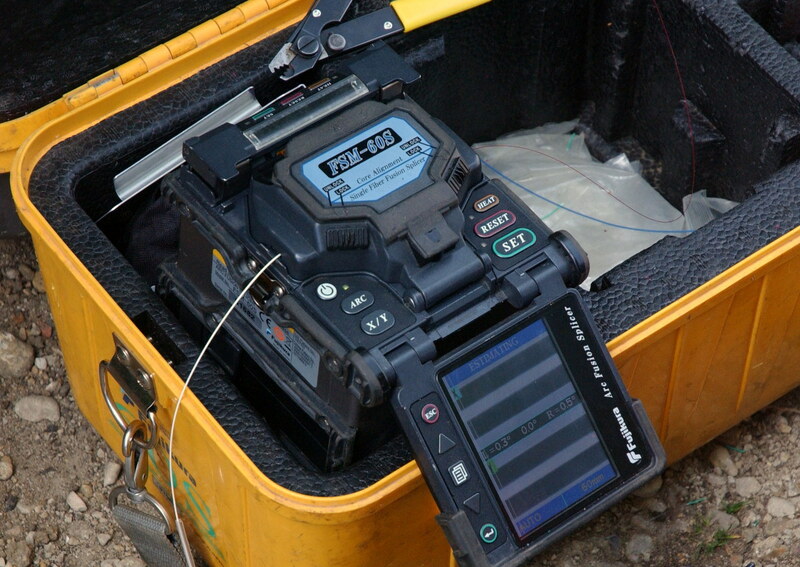 Fusion splicing uses a machine to align the two cores of the optical fibre and melt them together using a very precisely applied amount of heat. This is how all the connections in the Gigaclear network are made. Before the connection is made the fibre – a tiny, tiny strand less than the width of a human hair – is extracted from the thick protective cable (a combination of plastic support structure and kevlar weave inside a strong rubber shell). The end of the fibre is then precisely cleaved, cleaned of protective gel and polished before the fusion splicer is used to line up the ends and fuse them. 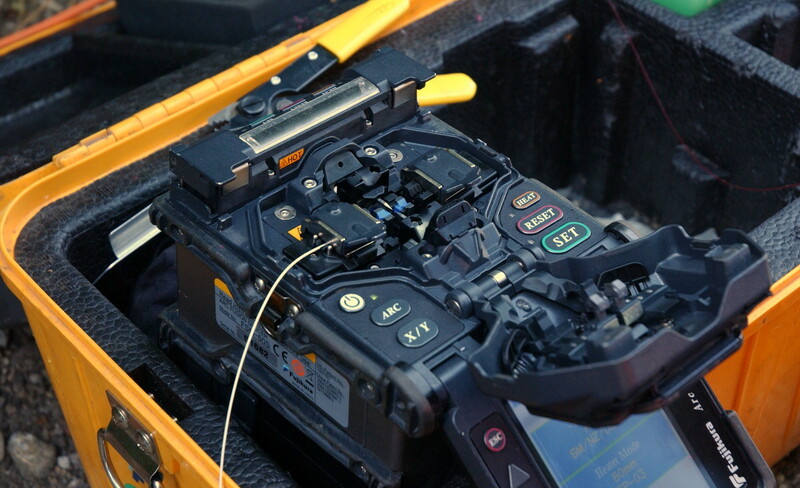 The fusion splicer with one half of the new cable inserted. The cable on the left still has its protective jacket on almost its entire length – the fibre within it is barely visible! Of course, fusion splicing is a slow and fiddly business, and the machines to do it are expensive, so typically they are used only to attach a connector at each end of a fibre. This is exactly what Gigaclear do. Connectors are used sparingly, though – they introduce loss into the optical path which can affect a connection, so nearly every connection made when building the network is a splice. Inside the pot outside each house is the end of a fibre cable containing two individual fibres – one for now, one for future use. One fibre is spliced onto a connector, and the whole assembly, connector and all, is placed in a splice tray to protect the delicate splice. When the connection to the house is installed, the end of the new cable to the house is placed into the splice tray and connected – via the simple push/pull connector – to the fibre leading to the cabinet. A finished connection, ready to have its water-tight lid fitted until the connection to the home is made. The coils of fibre in the splice tray are visible, along with the connector. The pot doesn’t serve a weather resistance purpose – it isn’t designed to be watertight. The splice tray is, however, and is sealed securely against water ingress. So that’s what’s in the pots connecting a property to the rest of the network! Gigaclear’s build continues on schedule and the whole network should be complete and lit by the end of the month at the current rate of progress. 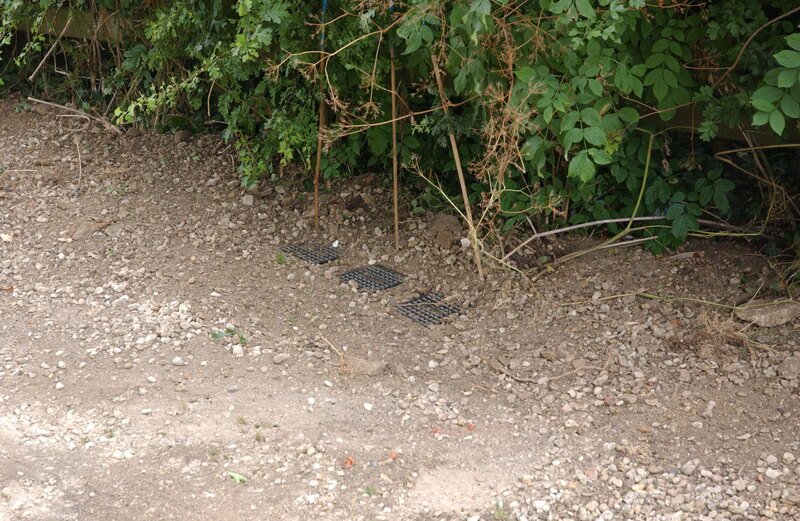 Bablock Hythe residents can look forward to civil works starting at Thameside later next week. 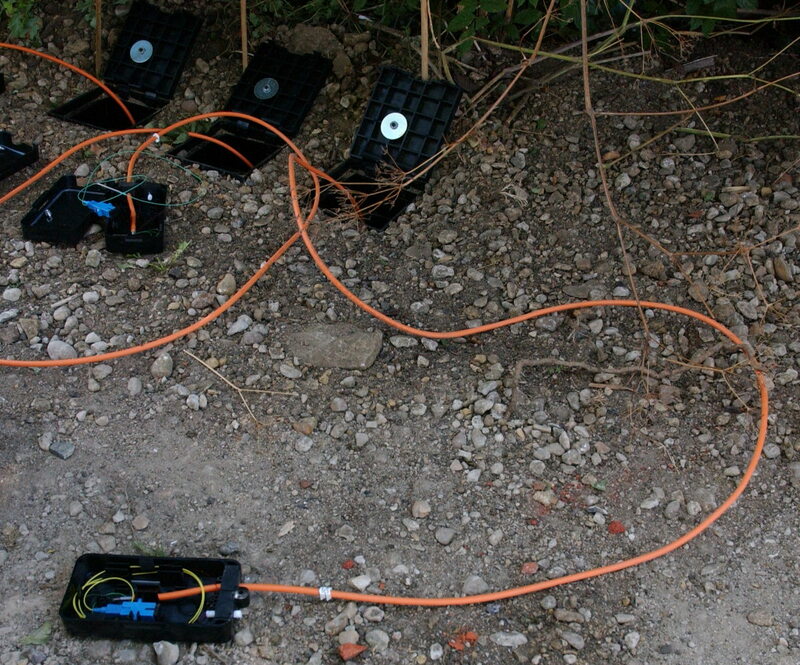 This entry was posted in News and tagged fibre, ftth, installation by James Harrison. Bookmark the permalink. Go Gigaclear! well done. Going the extra mile where other telcos fear to tread.